Summer is starting to wind down, especially as most students are returning to school. 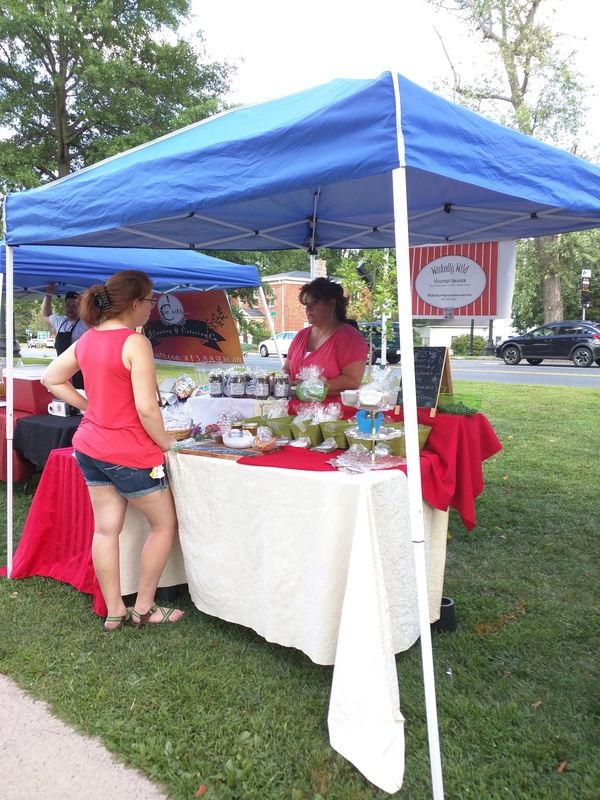 We look forward to all of the Mount Holyoke students who’ll be visiting the Market! Remember that some of our vendors will be joining us every week, some will join every other week, and others will be making special appearances throughout the season, so make sure you’ve liked and are following our Facebook page for updates. 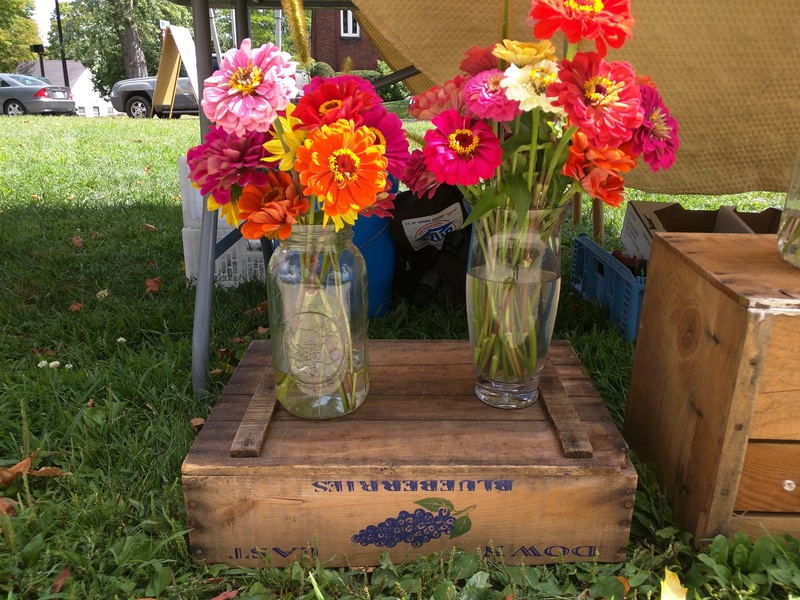 Birdhaven Blueberry Farm – Berries, veggies (including sungold tomatoes), flowers, herbs and more. 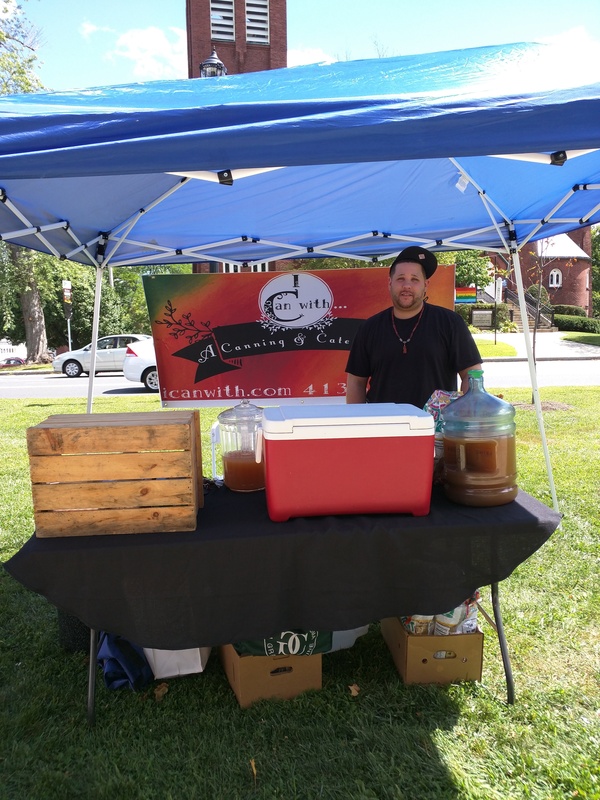 I Can With – Salsa made with fresh produce from South Hadley Farmers’ Market vendors; fruit-jalepeño lemonade. 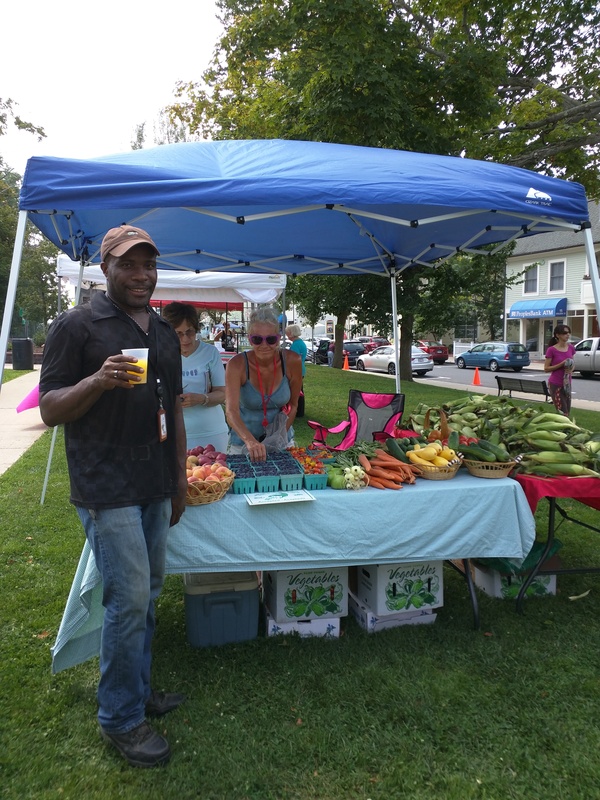 Of the Earth Farm – Squash, zucchini, corn, potatoes, peppers, cabbage, tomatoes, melons, and peaches. 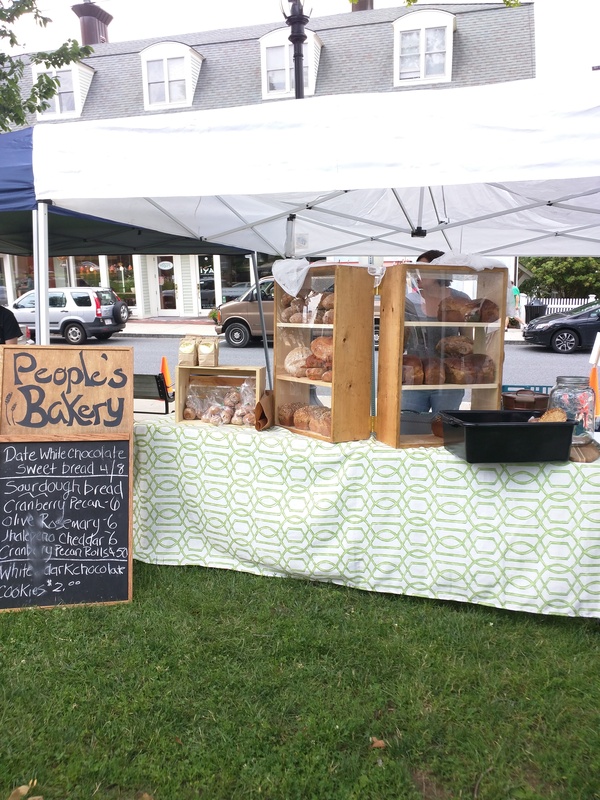 People’s Bakery – Homemade breads, baked each morning: French, jalepeño-cheddar, four seed, honey oat, Kalamata olive and rosemary, and spinach and garlic crusty sourdough. 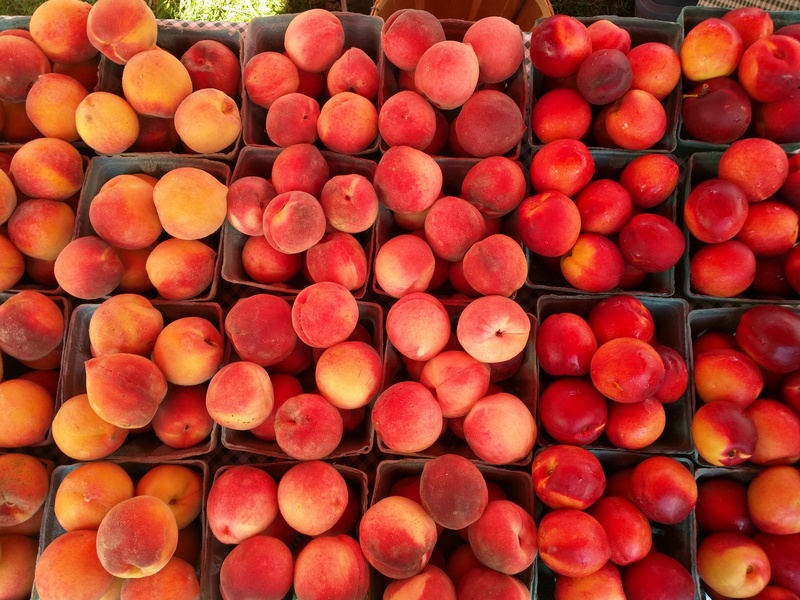 Sentinel Farm – Peaches, nectarines, honey, and several varieties of apples. 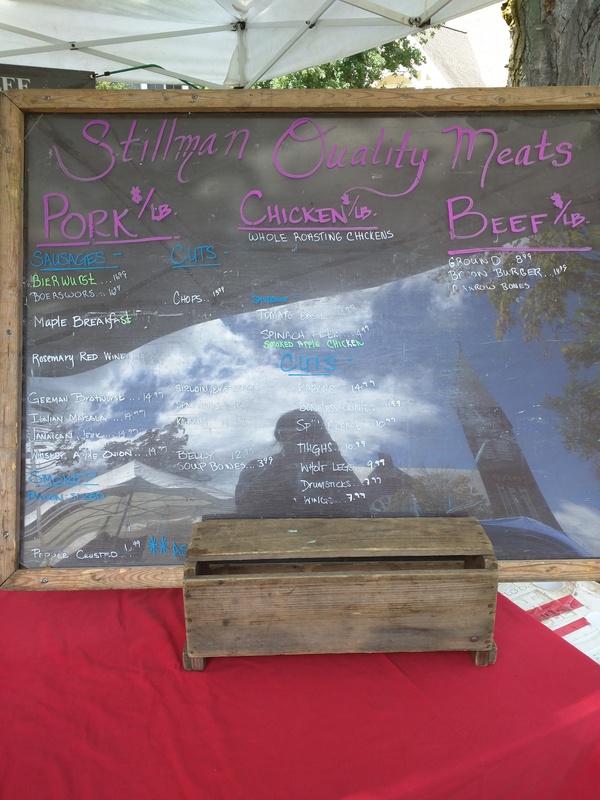 Stillman’s Quality Meats – This week featuring smoked half chickens, chicken sausage, and bacon. 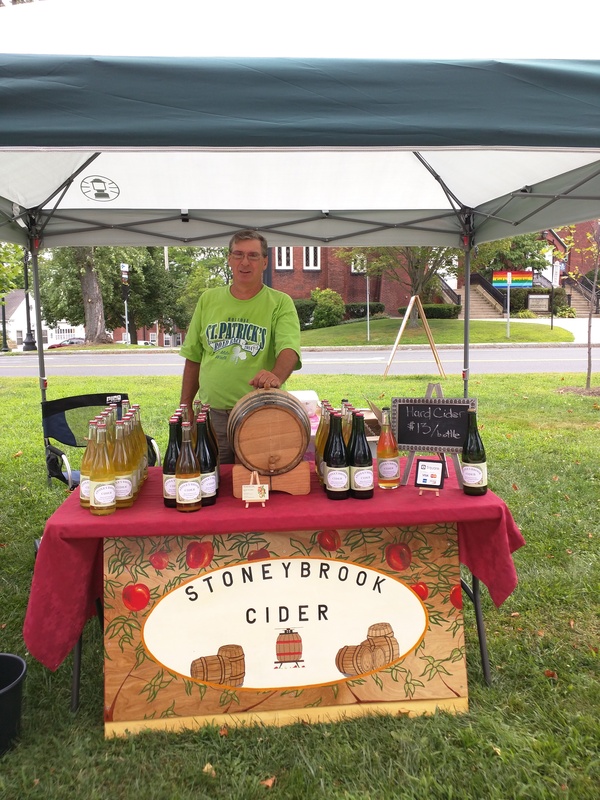 Stoneybrook Cider – Sparkling apple cider infused with Frontenac red wine grapes! Also, all-natural sparkling and still pure apple hard ciders crafted with heirloom apples hand-picked from orchards in the Pioneer Valley. 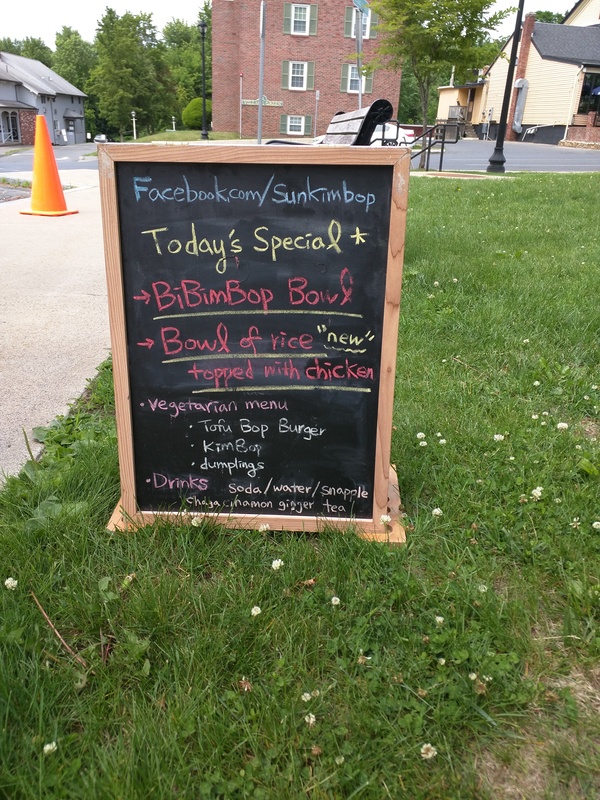 Sun Kim Bop (3-6 pm) – Korean BBQ and more. Look for the truck in the traffic circle right in front of the Market! Wickedly Wild Gourmet Spices – Cucumber dip (fresh dried herb spices – just add fresh cucumber and sour cream); sun-dried tomato and garlic dipping oil (made with fresh lemon juice and olive oil); BBQ Sauce (made with top shelf Wild Turkey bourbon). Also, specialty cooking spices, rubs and dips made with no additives, preservatives, coloring, MSG, or gluten. 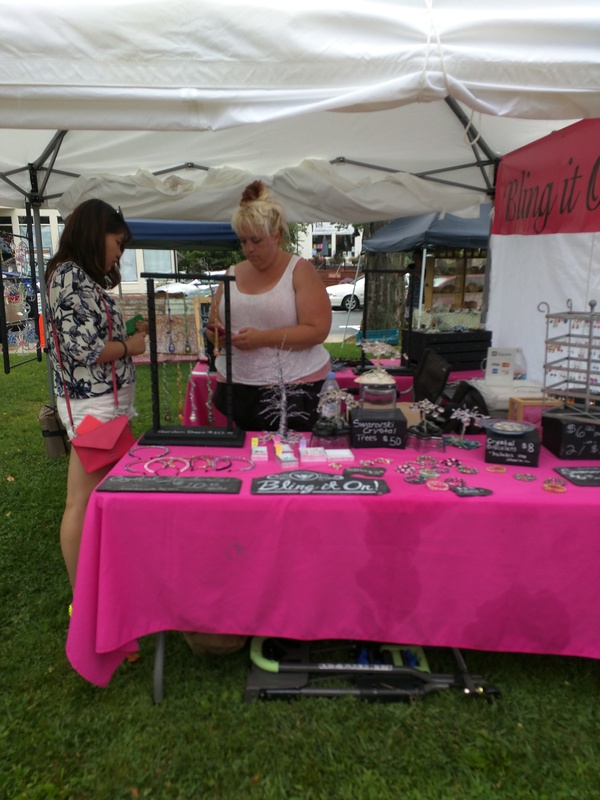 Bling It On – Crystal jewelry, sun catchers, bookmarks, hair pins, key chains, sculptures, glass prisms and more. 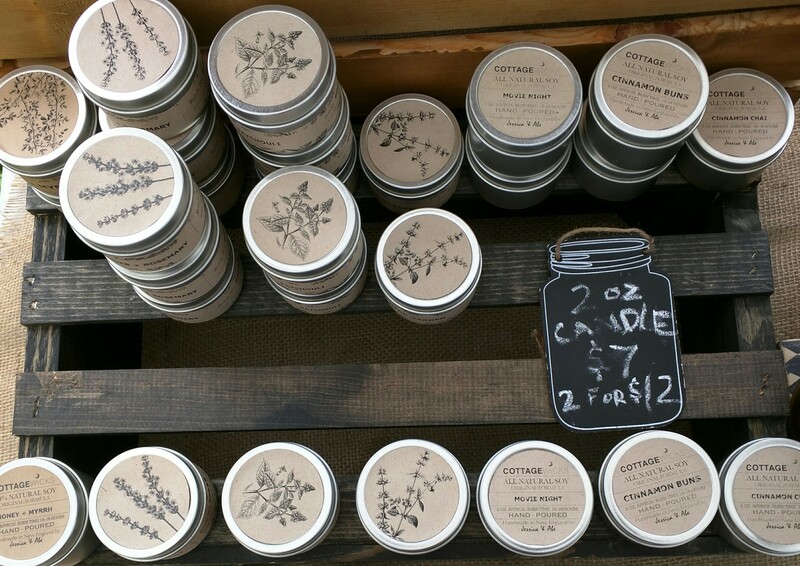 CottageWicks – Natural, organic soaps, lotions, and salves made with essential oils; 100% natural, non-toxic soy candles. This week’s featured soap: Enchanted Rosewood, made with rose clay, organic rose petals, and pure essential oils of rosewood, tea tree, and sandalwood. Rose clay has mild exfoliating powers and helps to detoxify the skin by drawing impurities from the pores. Tea tree and sandalwood have antiseptic, antibacterial, and anti-fungal properties. 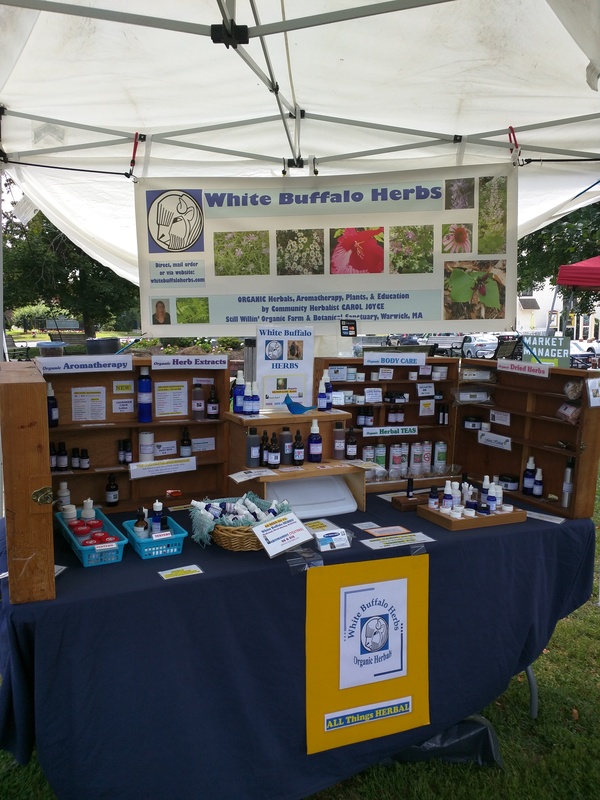 White Buffalo Herbs – All things herbal: organic teas, extracts, cooking herbs, body care, aromatherapy, even bug repellent! This week’s featured product: herbal germ relief through aromatherapy, perfect for back-to-school! Leave a comment September is Here!